One year has passed since I went back to residency training here in the Philippines. When I look back, I thought, what a year that was. To say that it was a rollercoaster would be the lamest of all descriptions. Dugo, pawis, at luha (Blood, sweat, and tears)... I wasted all that. There were times - a lot of times actually - when I find myself questioning whether my decision to come back was a sound one. I started to doubt myself and I even started to question God himself. I questioned Him, whether I was in the right place at the right time. I asked Him whether where I was then is actually where He wanted me to be. I was mad at Him for a while and I felt, that through His comforting silence, He understood. That was my slip - the weak part of me - showing. That part of me that needed His understanding and His unconditional love. It is an understatement to say that going into residency training is not easy. One must be made of something tough, and first few signs of that would show when one calls the shots and decides to enter into this kind of hell on earth. I believe rules would come in handy for this endeavor. Rule No. 1 should be -You are here to learn. Rule No. 2 ---There is no other way to go but residency training. If you wish to become a cardiologist or nephrologist or whatever, you have to start somewhere, and guess what, it's at the bottom of the food chain. Rule No. 3 --- When all else fails, go AWOL --- of course, I'm just kidding. When all else fails, review Rules No. 1 and 2, read those over and over again, and instill those in your mind, like carving it on stone. The resident-in-training will be tested to the limits, in every way possible. There's the fire-breathing consultant (I leave that to your wild imagination,) the bipolar co-resident (don't forget that all of you who are training in the program are going through the same thing and since nobody is perfect, all of us residents may think everybody in the program is bipolar), the perpetual paperwork and conferences, and of course, the gruelling 36-hour duties. However, those only constitute a small chunk of the entire challenge that residency offers everyday. 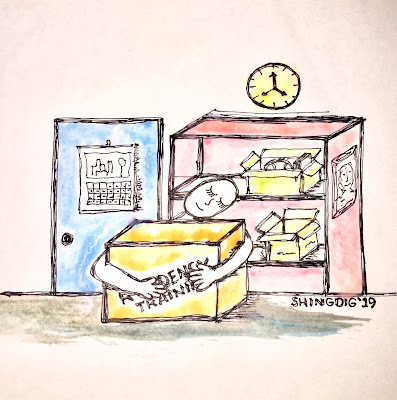 The real challenge of residency lies in being able to retain one's core as a person, that one comes out of it the same person before he or she trained, or better yet, an updated and improved version of oneself. One should learn to compromise with the idiosyncracies of the personalities in the working environment, however one must be careful that he or she loses himself or herself while being involved in the process of giving in, of adjusting, or adapting, or playing according to the rules of the game. 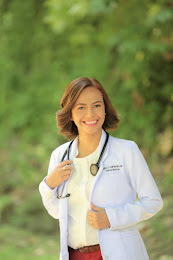 One must always go back to one's core, one's principles, and one's ultimate purpose of going into residency. Now, that seems to be easy. Yes, that's it, it only seems to be easy. It's actually a tall order. It's like walking barefoot on a sea of burning coal. You have no choice but to walk on it to reach the other side, your semi-final destination -- since after residency training comes the fellowship training which is still a long way for me. This journey of mine is still far from halfway. I am taking each day as it comes, trying to maximize my learning in every way I can. It's an everyday battle with myself --not because a part of me wants to go out and leave (Well, yeah, maybe I feel like leaving sometimes... :-) -- but because I try to resist mediocrity everyday. In residency there are times, when mediocrity tries to creep in. It successfully enters the door sometimes, and during those time we smile slyly for getting away with it. But each time we let it in, the threat of losing our core becomes more evident. So take caution. It is an everyday battle to improve myself for the welfare of my patients. In the end it's the patient's life that matters. At the end of the day, the doctor gives out a breath of exhilaration, that again, another life has been saved. All the emotional and physical torture that the doctor went through don't matter at all. The sight of a patient, lying comfortably on the hospital bed and breathing very well, and saying "Thank you, doc," is reward enough. The next best things to that would be a soothing body massage, a warm cup of your favorite coffee from the deli, and a good night's sleep.